Apple is at it again with a brand new iPhone 4, but which one should you choose? The iPhone 4 brought so much commotion that it didn’t take long for iPhone 4S to be launched and steal the spotlight from the Apple 4 phone. Apple iPhone 4S has arrived in the market and is ready to take you to the unlimited fun. This new phone has been introduced with the very latest features and applications that are able to provide you with a new experience. Carrying the same surface as the previous phone, the iPhone 4S has included some very new and updated features. Users have found the new phone with a wider display measuring 3.5 inches and featuring LED back lit touch screen display with 640 x 960 pixels of density. The phone is considered easier to operate with the help of iOS 5 and A5 chipset. Besides, iOS 5 has given you a very strong reason to get away from your computer when you want to upgrade its software you can get the software updated on the handset itself. Beyond its updated operating system, the phone comes with its latest and exciting application iCloud software which is capable of storing your data and syncing all your data wirelessly to all your devices. On the other hand, its iMessage can send any data including MMS, Videos, Text or Photos over Wi-Fi or wireless carriers to other Apple devices. And it saves you money if your plan does not include free text messaging. With the help of Apple iPhone 4S, you can send any photos or video to your iPad also. In addition to the above features and applications, the new phone has a very high end primary camera of 8MP that can record the moments of your life with 1080p quality. And its secondary camera provides you video chatting capabilities with VGA quality. The most attractive part of the phone is its memory capacity. 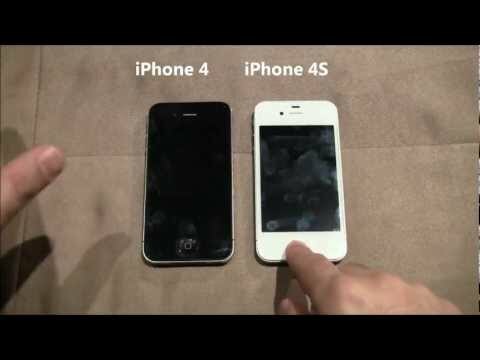 Apple has also introduced its latest iPhone 4S in three versions, all have been classified in terms of memory capacity. Apple claims that both phones provide an approximate time of 40 hours for audio playback and 10 hours for video playback, but there are differences that will be revealed when voice, mobile Internet Wi-Fi use will be considered. For the iPhone 4, 6 hours of Internet use on 3G is allowed while 8 hours for the iPhone 4S. There are other differences between the two phones including software, connectivity, and data. In the end, it is up to the consumers to evaluate if it will be worth holding on to the one phone that you currently own, or take the jump and purchase a new and improved phone from Apple.